Each one an everyday word with an important meaning and a potentially big impact on a person’s life – in this case, Holly’s. 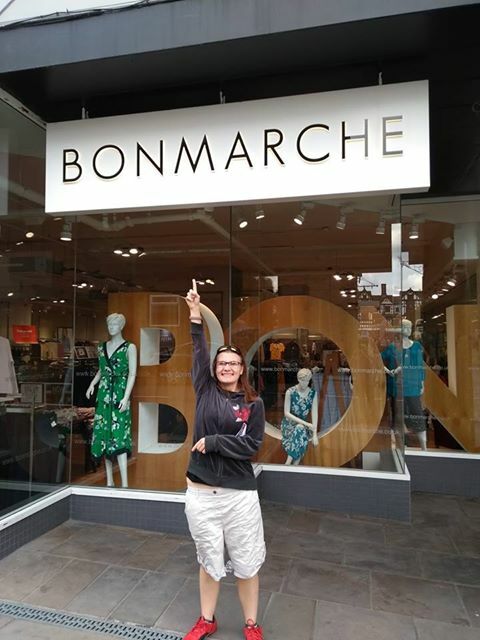 Six months ago, 20-year-old Holly from Coventry embarked on her adventure with Grapevine’s Help and Connect team. This adventure set Holly on a path to acquire the knowledge, skills and support networks to take care of herself and take up life’s opportunities. The journey has seen Holly meet and complete challenges along the way to help build her confidence and expose her to new experiences outside of the family home where she previously spent much of her time. She’s visited the city centre with Grapevine’s Naomi (and without her parents), getting to know the location of shops and the bus stop (plus somewhere to pick up a nice hot chocolate – see Adventure Holly!). She then moved on to travelling to town solo to meet Naomi, buying a few items and staying for lunch. She followed this excursion up by sorting out her own bus pass application – even seeking supporting evidence for her application from her doctor and checking its weight and postage at the Post Office to make sure it reached its destination. She was flying! Now she has accepted her final challenge… to meet her friend in town on a Saturday completely independently. This challenge is the one we were working towards all along because it was Holly’s idea of a ‘great day’ when we asked her what those words meant to her. These building blocks will pave the way for a bright future where Holly can be independent and feel empowered to make her own choices. 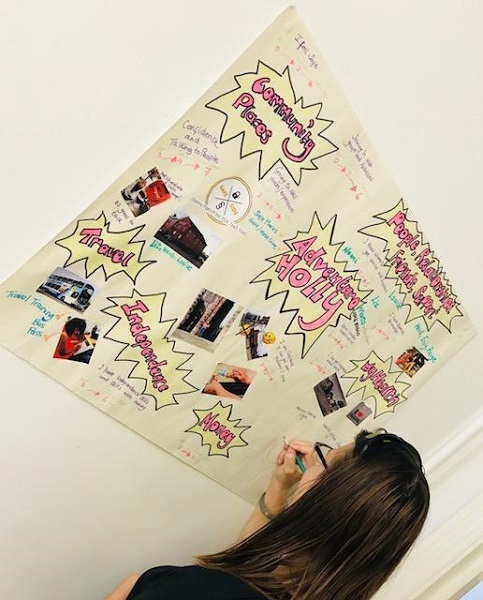 To support this, Naomi and Holly have drawn up a ‘road map’ with reminders of how far she has come and some blank space for Holly to fill with her new goals and achievements. Those everyday words at the start of this article all feature on her road map and we can’t wait to see what’s around the next turn for her. Read Adventure Holly! And Adventure Holly – the sequel! for more information on how Holly has progressed over the last few months. 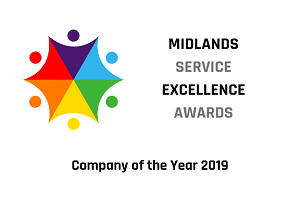 The Help and Connect project is for people with a learning disability who don’t use any formal services in Coventry and cuts across four strands – staying healthy, staying safe, getting work and building friendships, connections and support networks. Find out more the current breadth of Grapevine’s work across systems, communities, families and individuals here.